I've been using the same old Chi brushes for a few years now. Don't get me wrong, they're great brushes... but, they're certainly not working as well for me now as they did in the beginning. In my quest for new brushes, i came across a brand that has proven to be affordable, high quality and very effective on my hair! 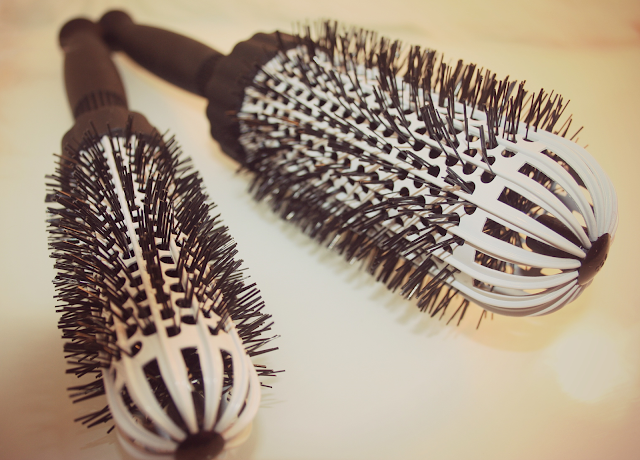 KareCo, a trusted name in the hair care industry, offers an a variety of brushes to meet your everyday hair needs. There were a few aspects to these brushes that particularly resonated with me. First, there was no tugging which is a major plus, after all, who likes to have their hair yanked and pulled? Not this gal! Second, the domed brush head on these brushes is vented which speeds up the drying time. I also loved the grip on their exclusive Italian designed K-bal handles. 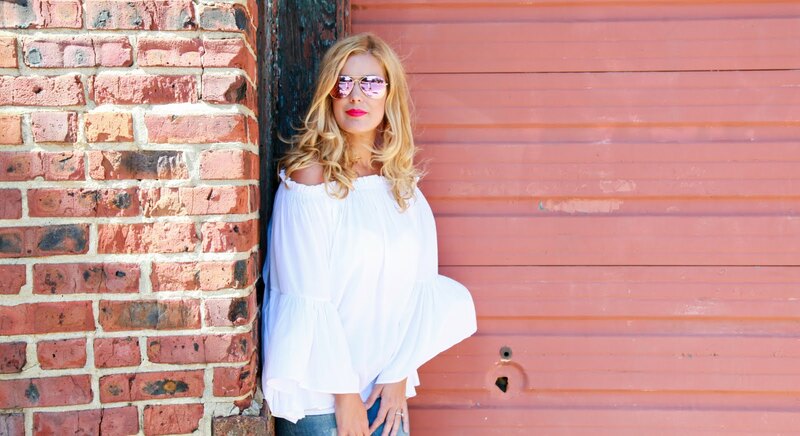 The extra long hour glass curve perfectly cradles the hand for added comfort. 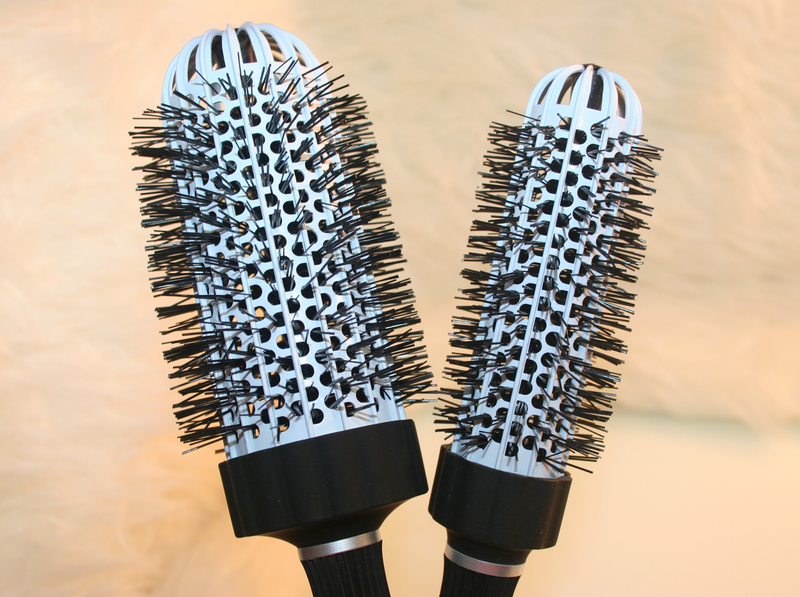 The head and handle of these brushes is perfectly balanced making these a cinch to use! 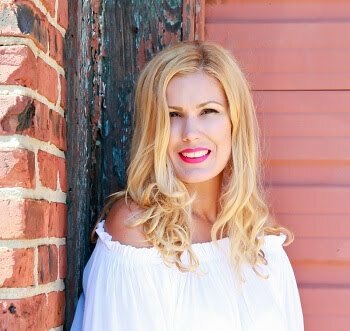 I tried the small thermal brush which is ideal for framing the hair around my face, as well as the large thermal brush, essential for taming my extra long hair. I noticed a huge difference in my hair from the very first use. My hair looked and felt bouncier! In fact, as i wait for a much needed hair cut appointment that continues to feel ages away, i find that there is little out there to help me keep my otherwise lifeless hair bouncy. These brushes certainly brought back the bounce! I highly recommend them, particularly since they can now be purchased at budeget friendly Walmart stores! 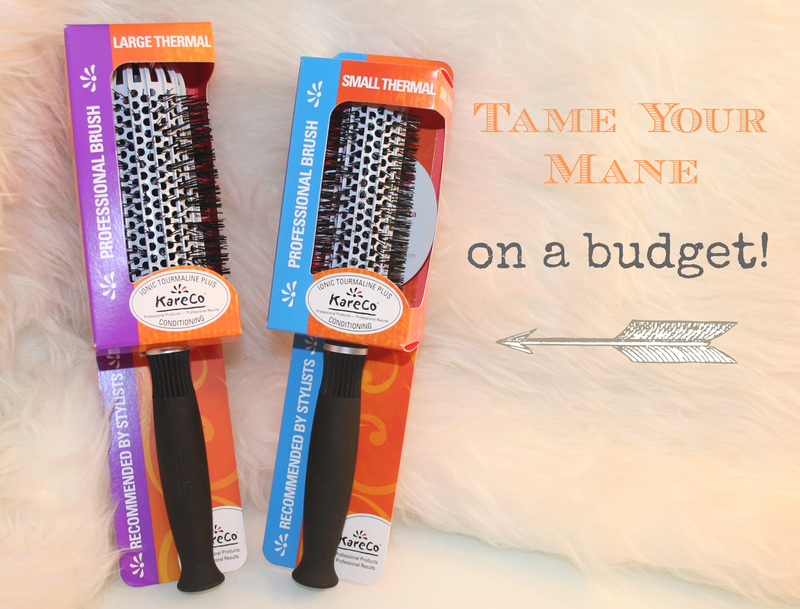 KareCo brushes are every recessionista's dream... they're easy on your wallet yet pack quite a punch on your luscious locks! So lets chat, have you tried KareCo brushes? What did you think? Labels: great hair, how to get great hair, KareCo brushes, professional brushes, the best styling tools. These sound like great brushes! They are similar to the one that I normally use. They're so good, i have never gone back to my Chi.... love them! Do you still use uncurly? Uncurly is a great product! In fact, i'm getting ready to use it on my mom again!